Even Fish Envy SplitFins Why SplitFins deliver more propulsion with less air consumption. All it took was watching the tail fins of fish – except that we couldn't keep up with them because our traditional fins took too much effort. Using hard kicking paddle fins can result in leg strain, fatigue and cramping. Because of the kick resistance of a paddle fin, divers often “felt” like they were moving fast. But underwater speedometers proved that these divers were actually moving relatively slow. 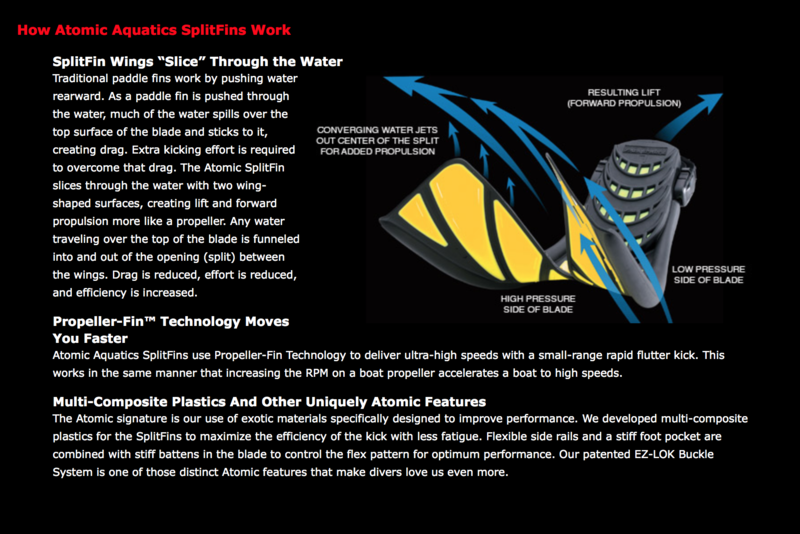 SplitFins deliver more propulsion with less drag and kick with less effort. Reducing the stress and strain of the kick results in greater sustained speed, power and comfort. 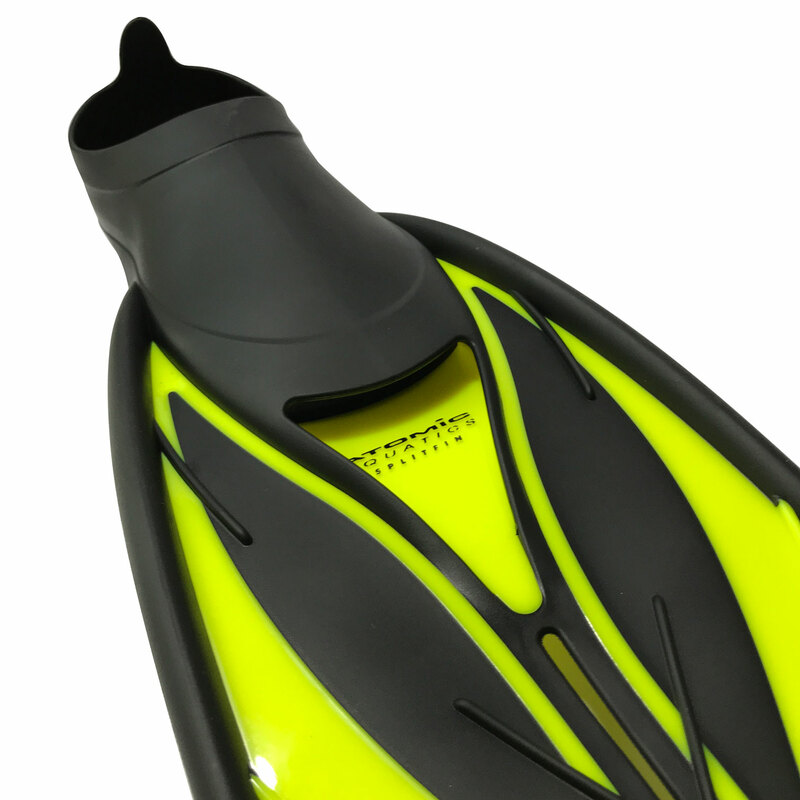 Independent testing has also confirmed that the SplitFin design significantly reduces air consumption. Not all SplitFins are the same. Splitfins come in a variety of shapes, sizes and stiffness. These contribute greatly to overall comfort and performance. A fin with short, soft blades will kick easier than a longer, stiffer one, but will require many more kicks to travel the same distance. A blade that is too stiff will require too much effort to kick comfortably. 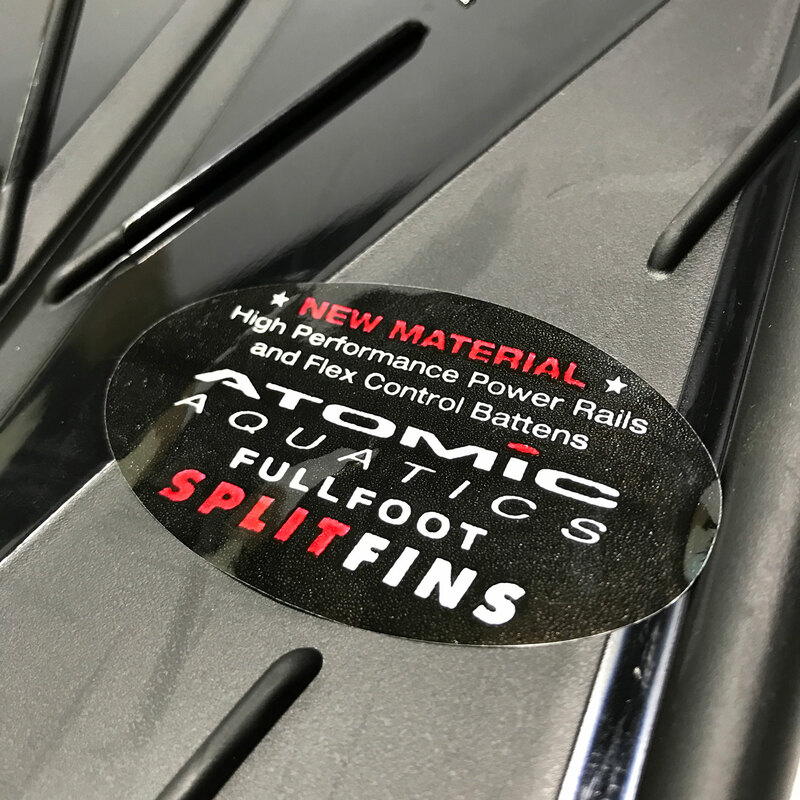 The Atomic SplitFins were specifically designed to optimize all these variables. 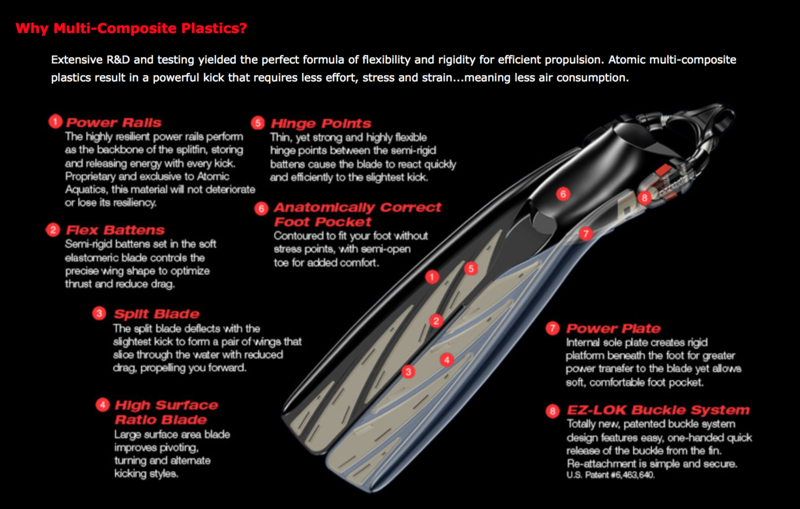 They are easy kicking fins that deliver high thrust, speed, and efficiency with a comfortable, low frequency kick cycle. 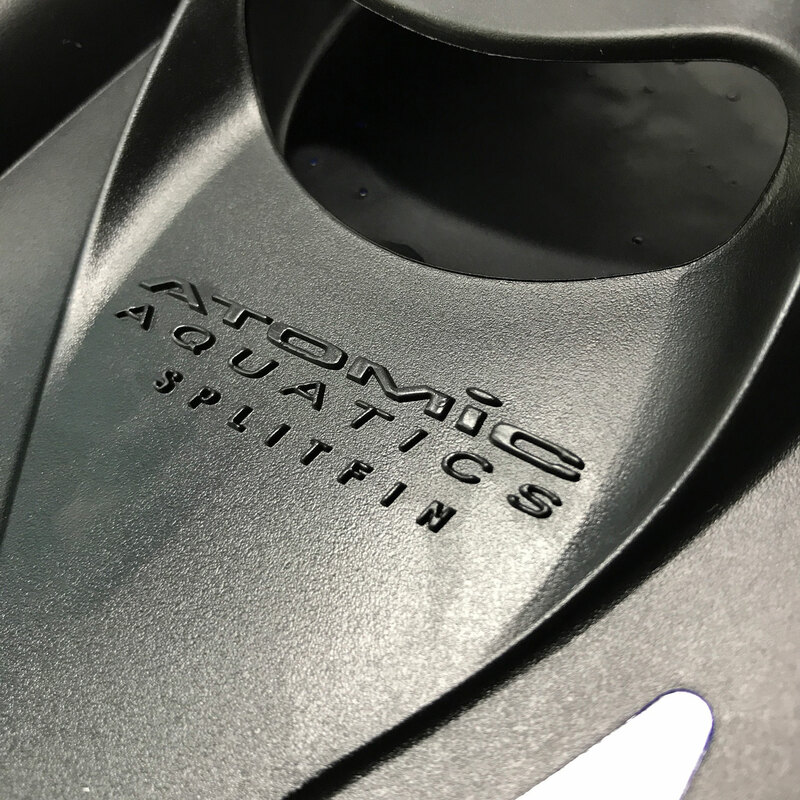 Why SplitFins deliver more propulsion with less air consumption. All it took was watching the tail fins of fish – except that we couldn’t keep up with them because our traditional fins took too much effort. 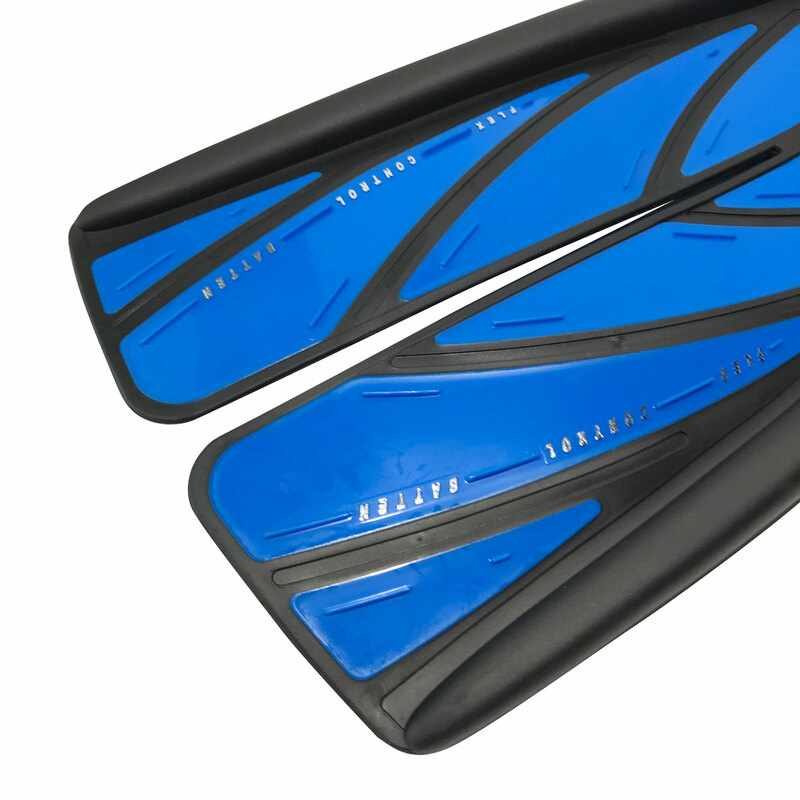 Using hard kicking paddle fins can result in leg strain, fatigue and cramping. Because of the kick resistance of a paddle fin, divers often “felt” like they were moving fast. But underwater speedometers proved that these divers were actually moving relatively slow. 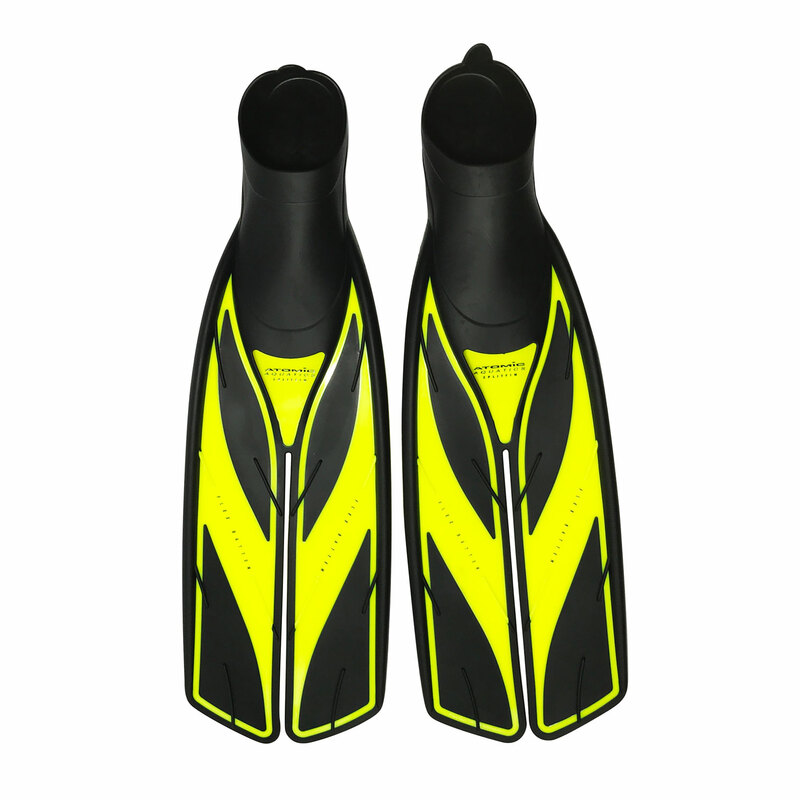 SplitFins deliver more propulsion with less drag and kick with less effort. Reducing the stress and strain of the kick results in greater sustained speed, power and comfort. 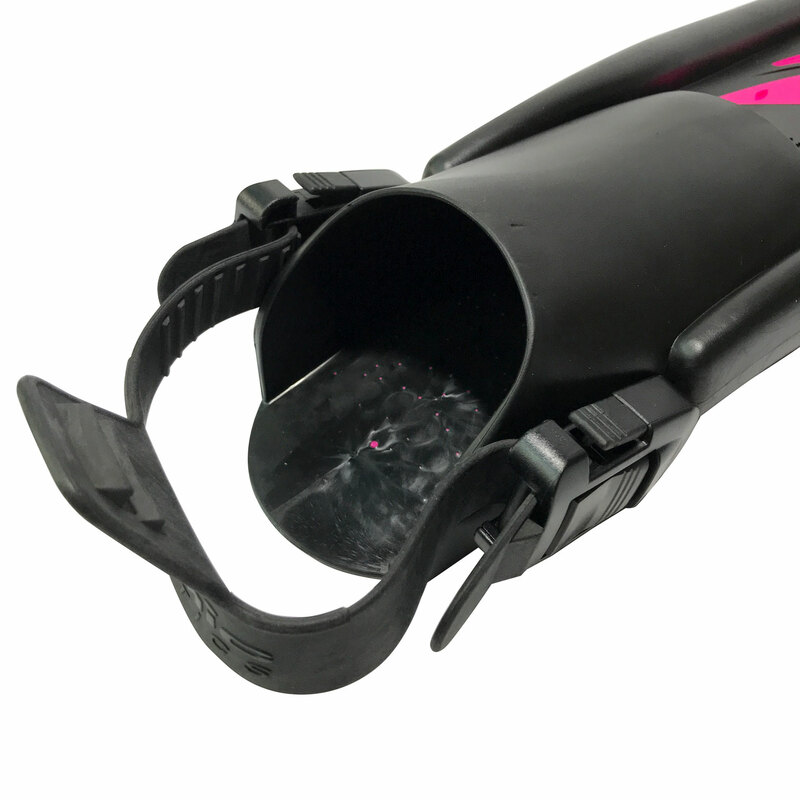 Independent testing has also confirmed that the SplitFin design significantly reduces air consumption. Don’t worry about how easy the SplitFins are to kick. There is nothing wrong, you’re probably already going just as fast as you did with your old fins. Although they work with a variety of kicking styles, you should adapt to a smaller range, more frequent flutter kick for maximum performance.